H.W. Metal Products, Inc. is a second-generation, family owned and operated company providing complete, full-service steel processing and fabrication services. We specialize in manufacturing steel products up to 60 feet in length and are the only steel processor in the United States with the capabilities to fabricate products of this size. Our company was founded in 1979, by Jack Suter and Howard Wolfe, two like-minded employees of a metal fabrication shop which closed its facility. To continue serving the customers that company left behind, Suter and Wolfe went into business for themselves. In 1995, our founders purchased the property and significant amounts of equipment that now included in the H.W. Metals facility. 1995 also saw H.W. Metals become one of the first general industrial manufacturers in the Pacific Northwest to adopt a “Tier 1” approach to providing outsourced turnkey solutions. This change in strategy also prompted the adoption of a business philosophy that positions us as an extension of our clients’ facilities—while many of our customers are capable of steel fabrication and related processes, we can often provide these services in a faster, more efficient, and more economical way. We can save our clients time and money, ease production demands at their facilities, and allow them to devote greater focus to other aspects of their businesses. 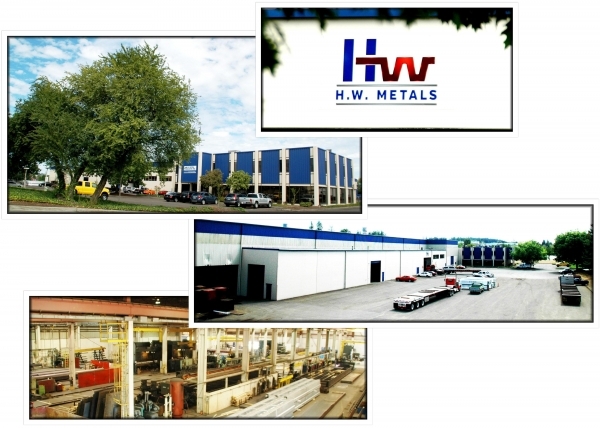 HW Metals Virtual Tour. Click the link above, for a video tour of our steel processing facility, fabrication equipment and manufacturing capabilities. Today, Jack Suter and Howard Wolfe still own and operate H.W. Metals, along with their sons Josh Suter and Brian Wolfe. The company works out of a fully-enclosed, 120,000 ft.2 facility that houses all the mill-sourced materials and metal cutting, punching, forming, and welding equipment. Lean manufacturing practices provide complete, turnkey services for metal products of all shapes and sizes. Though H.W. Metals strives to deliver the fastest, most efficient service possible, there is never any compromise on quality. H.W. Metal Products is your Number 1 domestic outsource option. Request a quote on the steel processing services you need, or contact us for more information.